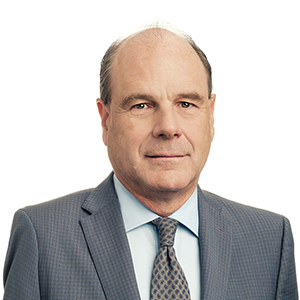 Murray Braaten is a partner in Gowling WLG's Vancouver office. He has extensive experience and expertise in the areas of commercial real estate, residential and commercial real estate development, resort development and finance. Murray acts primarily for developers and lending institutions. He also has expertise in the areas of restructuring, foreclosure and realization law. His clients include some of British Columbia's most successful and prominent development companies, lending institutions and community groups. Murray also has extensive experience with mortgage investment corporations. Murray has been an instructor and guest lecturer for both the Canadian Bar Association and the Continuing Legal Education program. Prior to joining Gowling WLG, Murray was the managing partner of one of Vancouver's most successful real estate firms for 25 years. In that capacity he helped establish some of British Columbia's most successful real estate development, marketing and finance companies. In addition to his practice, Murray has worked as a board member for the Salvation Army's annual Red Shield Appeal, the Friends of the Environment Foundation and has assisted numerous community groups with conservation covenants and development issues. He is a director of numerous public and private companies and is involved in many community activities. Murray is also an avid golfer and skier.